You saw HOW many students?! Ever wonder just how many students a School Nurse might see in a year? Or how many medications she might give? How about the percentage of students who return to class? At my elementary school campus, at the beginning of each year I prepare a report for the staff that covers some stats from the past school year. Check it out here. I give a more in-depth report to my Administrators periodically during the school year as well, but this will give you an idea of what type of data School Nurses collect in their day to day work. Having an electronic health record system for all of our students really helps in that process as well. School Nurses out there, how do you share your data with your campuses? I’d love to hear how you get the info out there, and if you use electronic health records. Author Regina WysockiPosted on August 19, 2014 September 19, 2014 Categories Informatics, Nursing, School NursingTags EHR, Electronic Health Records, School NurseLeave a comment on You saw HOW many students?! So I’ve spent a lot of time this week getting my school clinic ready. School starts on August 25th, and I am excited to see all of my students again! I have a clinic blog over there that I have recently started, called Nurse Notes. I am trying to come up with a way to get information out to our parents without overwhelming them with paper, as well as keeping my school website uncluttered. It’s a work in progress. NASN has a great Back to School checklist for parents that I have over there. Thanks for checking my school blog out! 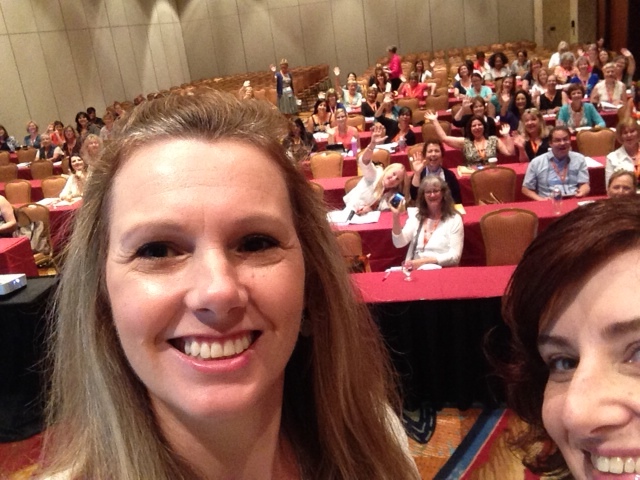 Twit pic right before Yvonne and I gave our presentation on EHR’s at the NASN 2014 conference. I was SO NERVOUS when we took this picture. We were about to start our presentation titled “Making Effective Use of Electronic Student Health Data”, and as our School Nurse colleagues filed in to take a seat, we took this selfie and posted it to the #NASN Twitter feed. It helped to settle my butterflies somewhat. My mind went from “What if no one shows up?” to “Oh thank goodness, some people have arrived” to “OMG there are a LOT of people in here now” in the 10 minutes before the presentation started. Once my colleague Yvonne started talking I scanned the audience for familiar faces, and was comforted to see several. By the time it was my turn to speak, I was much calmer and focused, and I actually surprised myself by being able to talk “about” the slides, as opposed to just reading from my notes. All in all I’m happy with the presentation, and I am glad we decided to speak on this topic. Sometimes people glaze over when I start talking to them about EHR’s and data, but the Nurses who attended the presentation were interested in the topic and asked great questions. Yeah for data geeks like me! 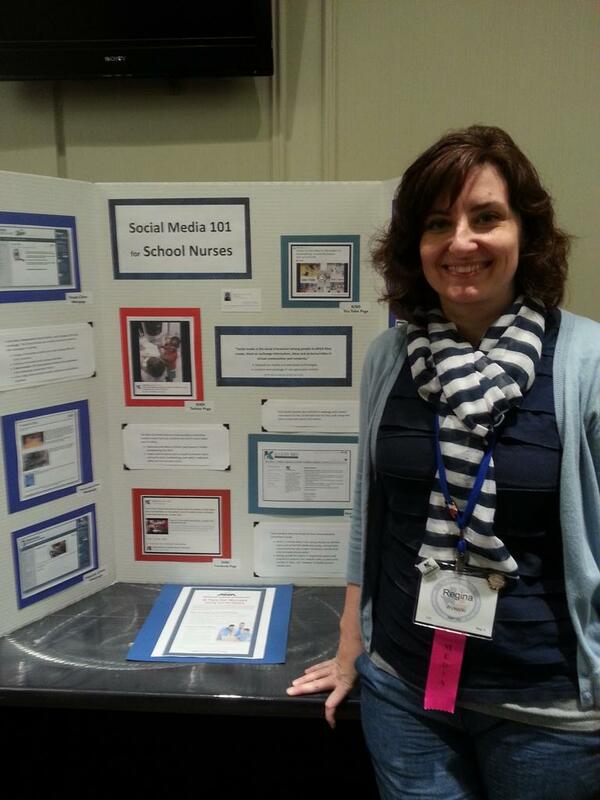 National School Nurse Standardized Dataset: What Do I Collect and How Do I Use It? NASN is going to start capturing data points on staffing, student disposition, and chronic conditions. The wheels in my head started turning during the presentation as to how we can capture this info in our District. Some of the data points we are already collecting, which is even better! Ordinary School Nurses are Extraordinary Leaders. Two past NASN Presidents spoke during this session, and I really enjoyed the contrast between their presentation styles. 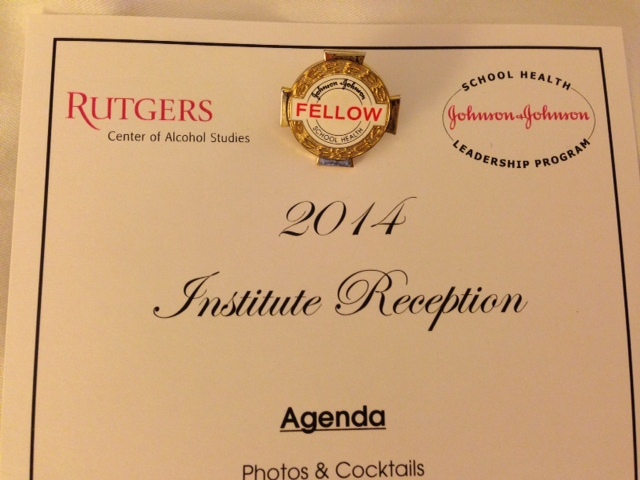 They talked about different leadership styles, and how “all School Nurses are leaders”. Inspiring stuff.